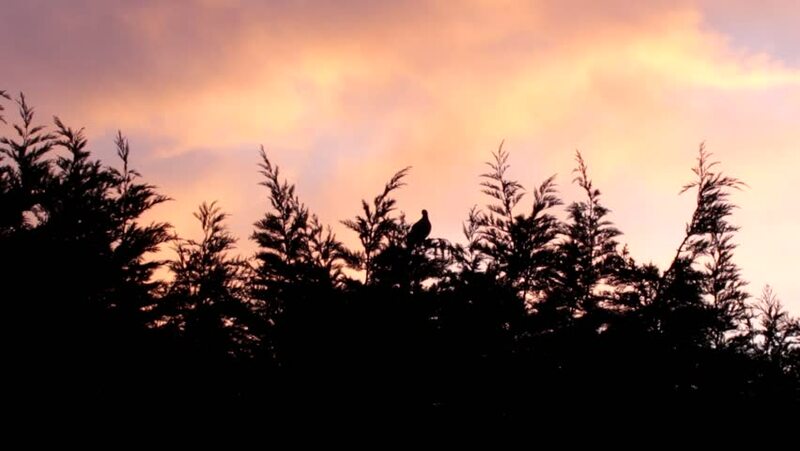 Pigeon sitting on a tree on the sky background at sunset. Flying bird in the distance. hd00:13Colorful sunrise through the trees.